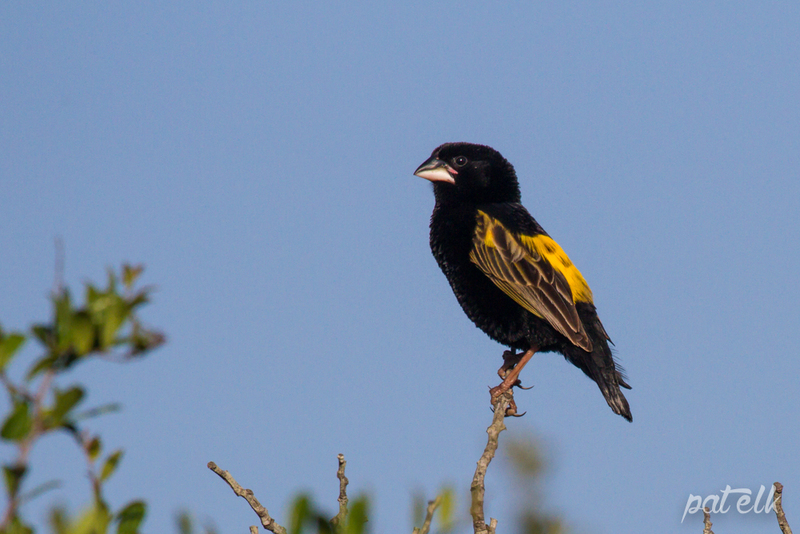 The Yellow Bishop or Cape Widowbird (Afrikaans name Kaapse Flap) is a common resident in grassy areas and heathlands. 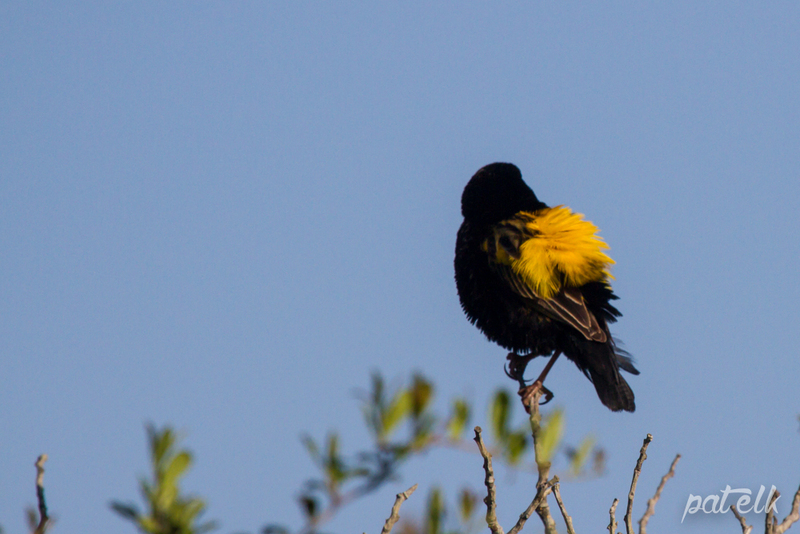 The Female is a brown bird with a heavily streaked body. We have only managed to see them twice, in the West Coast Nationall Park and the Harold Porter Gardens.